Richard Wilson is a fourth generation sheep farmer from North Yorkshire who grows the wool used to make carpets. Richard and his family have been farmers for over 100 years, a heritage to be incredibly proud of. The shearing season generally runs from May to July in the North of England, with Richard (and his colleague Dion Jones) shearing over 20,000 sheep in 2017 alone. That’s around 40 tonnes of wool, all of which will be sold at our auction house based in Bradford, ultimately being used in the production of beautiful natural flooring, furnishings and apparel. 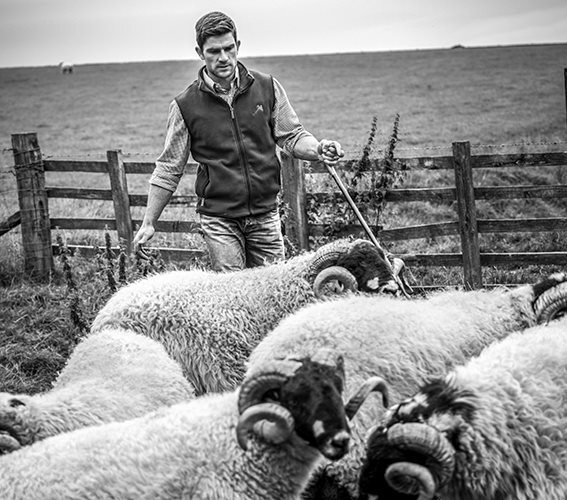 Richard’s life at his farm in Beckwithshaw, Harrogate is typically busy, and work has also begun on the Wilson’s 5th generation of wool production, with son Charlie born in September 2017, hopefully continuing the Wilson’s legacy for years to come. Watch the British Wool story to find out more.